The first half of 2017 is proving to be an interesting one for AMD. There's promise of next-generation RX Vega graphics coming to a PC in May or June, bringing much-needed competition to the high-end space, and AMD already has a trio of Ryzen eight-core CPUs out in the wild. Excelling in multi-core activity and offering a better bang for buck than Intel, premium Ryzen CPUs have been disruptive. Yet the real CPU push arrives with Ryzen 5, launched today in 1400, 1500X, 1600 and 1600X flavours. 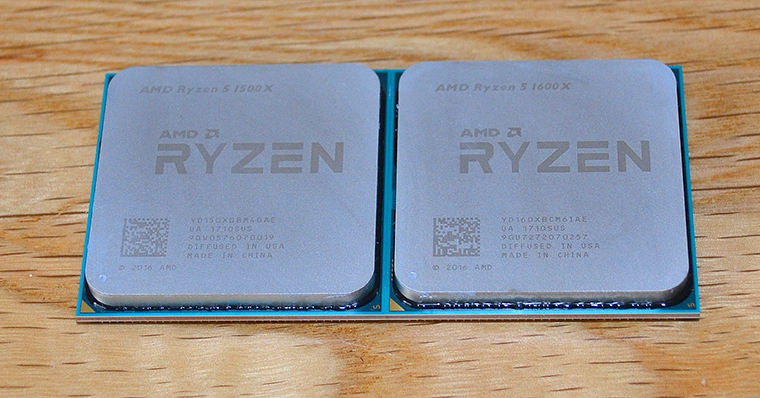 A key difference between these chips and the range toppers is the marketing choice to split Ryzen 5 into four- and six-core models. Ryzen 5 1400 and 1500X both use the established four-core, eight-thread architecture common on mainstream Intel chips. As we already know that all Ryzen chips are unlocked, the pair are split on base and boost frequencies, with R5 1400 chiming in at 3.2GHz base and 3.4GHz boost while 1500X increases this to 3.5GHz and 3.7GHz, respectively. The XFR 'ultra-boost' clock is interesting insofar as it's poor on the 1400 but, at 200MHz, the highest of any Ryzen chip for the 1500X. It seems sensible to spend the extra $20 to avail yourself of guaranteed faster speeds and higher single-core potential. Both chips have a restrained 65W TDP, making them eminently suitable for small-form-factor PCs. 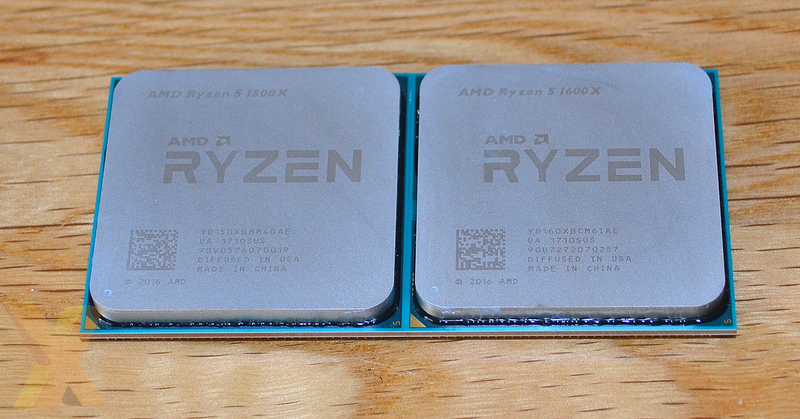 Ryzen 5 1600 and 1600X offer a middle ground between the top and bottom of the range by offering six cores and 12 threads, thus harnessing a core count that Intel doesn't currently play in. In other respects, R5 1600X is the same chip as the head honcho 1800X that we have reviewed recently, albeit at half the price. AMD has confirmed that all Ryzen 5 CPUs are Ryzen 7 chips that have been symmetrically disabled, so 3+3 across two CCXes for the six-core part, and 2+2 across the same two CCXes for the four-core part. This means they use a much larger die than would be absolutely necessary, one that taps into the full 16MB gamut of L3 cache for all but the R5 1400, so it will be interesting to see if the Ryzen 5 1400/1500X ever move over to a single-CCX die. This is wholly AMD's manufacturing and costing concern, however. All but the R5 1600X arrive at retail with coolers in the box. You may have heard of AMD releasing a slew of new heatsinks alongside the Ryzen launch, so the R5 1400 gets the Wraith Stealth while R5 1500X and R5 1600 receive the beefier Spire. We'd argue it is far more important for AMD's continued bottom line to ensure that Ryzen 5 is successful against a host of Intel chips - each company will undoubtedly sell more of these than $300-plus models. With that in mind, here is how the Ryzen 5 quartet line up against the price-equivalent chips from Intel's current Kaby Lake stable. AMD offers more threads at each price point, replicating what Ryzen 7 has done at the higher end of the spectrum. Gaming performance is still up in the air, especially as each chip is using SMT, so let's get right to the benchmarks.